Bulk herbs, my new favorite thing! In the summer of 2004, while living in Florence, Italy, I had one of the most amazing meals of my life at a tiny little restaurant on the Arno river, overlooking the Ponte Vecchio. I’m not a tuna lover, so I may have only ordered what I ordered due to a translation mistake (como se dice “tuna” in Italian?!?) but I had a tuna steak baked with onions and balsamic vinegar and it was literally the most delicious, melt-in-your-mouth meal I’ve ever had. I’m not the kind of person who remembers what I ate for dinner last night, much less nine years ago, but this was just that good. (On a related note, the realization that that was nine years ago makes me want to sob – and to book a flight back to Italy the minute I finish this post). 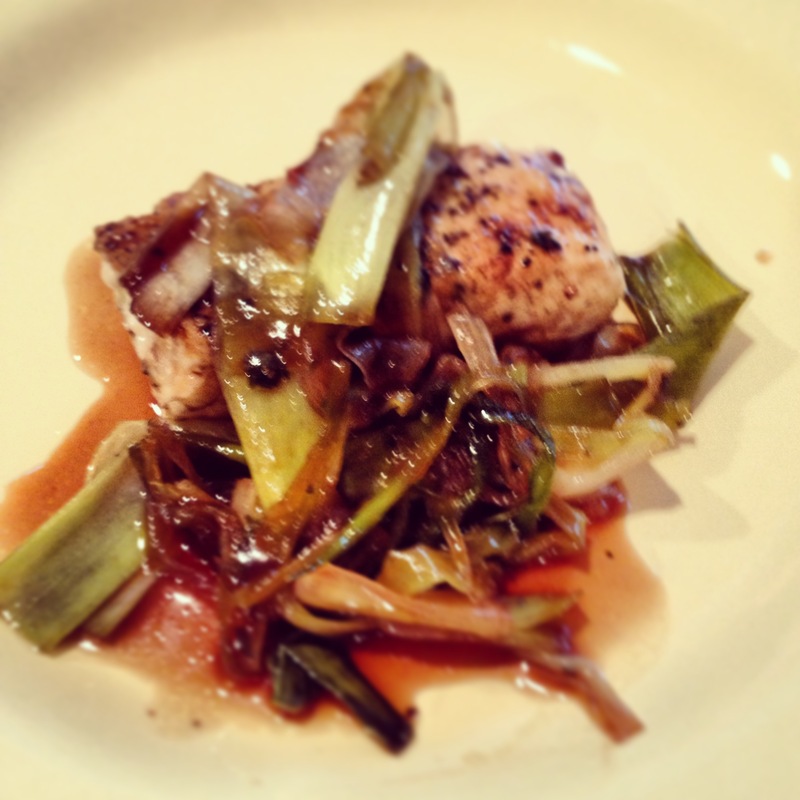 I didn’t realize it when I set out to make this recipe, but the fish-onion-balsamic combo reminds me of that meal. I read recently that a food blog should never post more then three recipes from one cookbook, since any more than that and you’re basically just giving away all of the cookbook’s material for free. That’s probably a good rule of thumb, but I’m openly defying it here since I just can’t help but post about one Melissa Clark recipe a month. 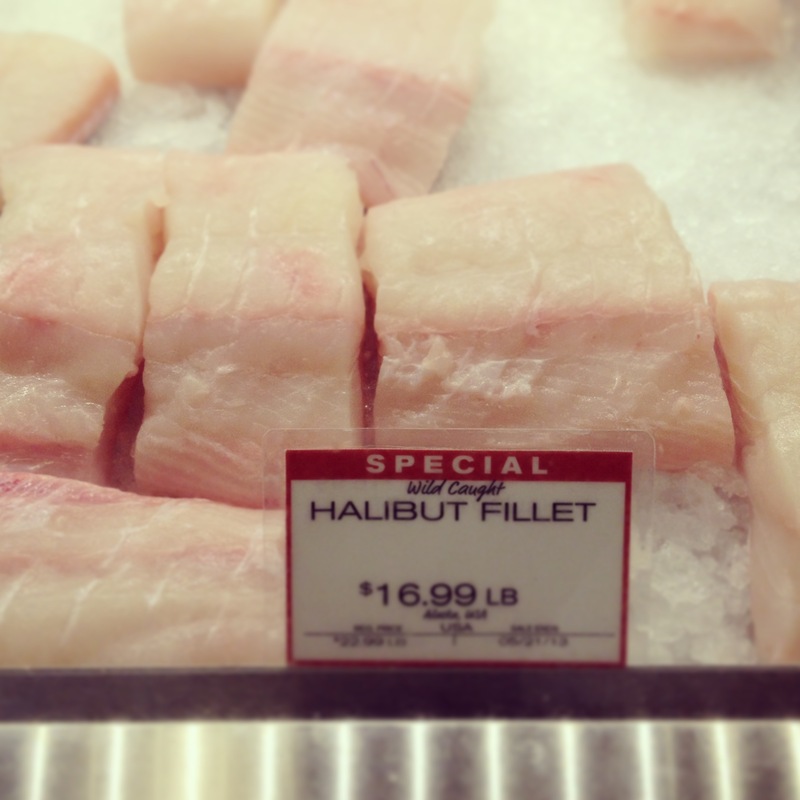 This halibut is simple and delicious (albeit not cheap! ), and I love the fact that you can do it on the stove. Apparently May is the season for spring onions, although I couldn’t find them and had to improvise. 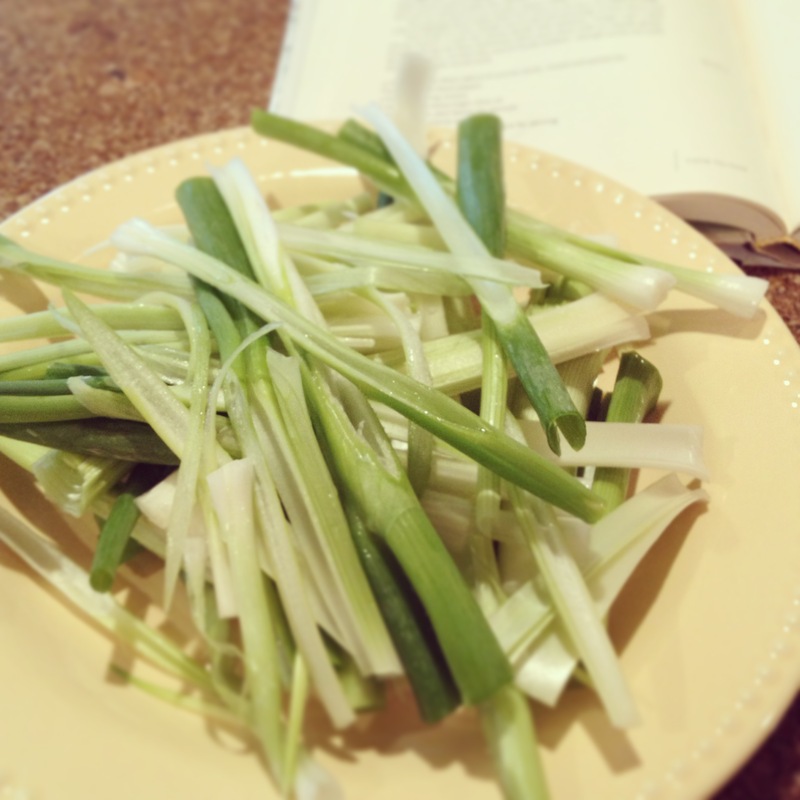 Spring onions look like a larger, thicker green onion, or a smaller, skinnier leek with a slightly larger bulb. I found them a couple times last summer (although I always had to ask the produce guy at the market, they were never out) but of course couldn’t find them when I went to make this recipe, so I used a combination of green onions and leeks. I wish I had seen Melissa’s note (below), because although mine turned out fine, I think it would have been even better with red onions or Walla Wallas (and more reminiscent of my Italian meal as well). The onions get pretty caramelized so even if you aren’t an onion lover (I’m not), they turn out pretty delicious. The honey-balsamic sauce is to die for, although the next time I make this I might dial back the honey a bit since I find balsamic pretty sweet to begin with. 1. Season the fish with black pepper. Trim the spring onions, including the hairy bottoms, but leave the root end intact; remove the outer layer. Cut the onions into quarters. 2. In a very large saute pan, heat 2 tablespoons olive oil over medium heat. Add the onions and thyme and season lightly with salt and pepper. Cover and cook until almost tender, about 3 minutes. 3. 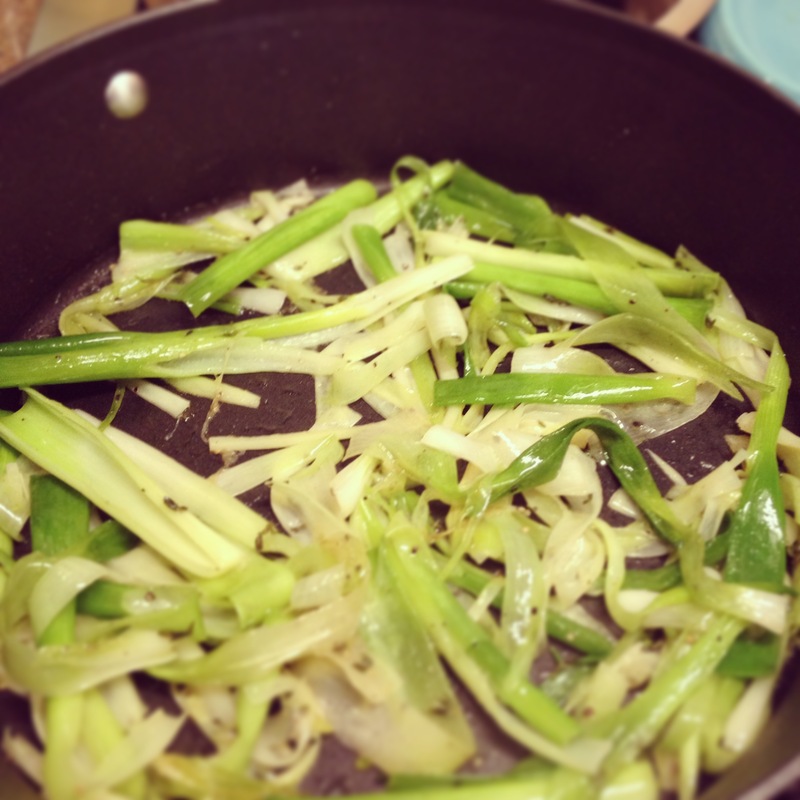 Uncover the pan, carefully turn the onions, and continue to cook until they caramelize, about 3 minutes more. Add 2 tablespoons of the balsamic vinegar and the honey to the pan, let cook for 20 seconds, then immediately transfer the onions to a bowl. 4. Heat the remaining oil in the pan until very hot. Lower the heat to medium-low, add the fish, skin-side down, and cook until just opaque, about 4 minutes a side. Add the remaining balsamic vinegar and remove from the heat. 5. Transfer the fish to four serving plates and top each filet with some onion mixture. Drizzle with additional vinegar if desired and sprinkle with salt. 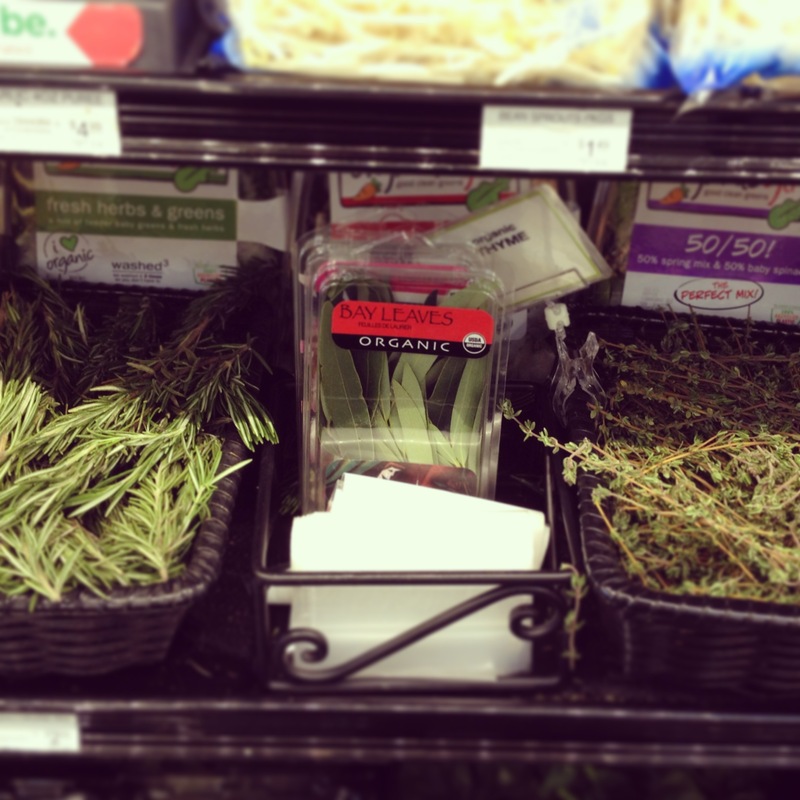 Garnish with thyme leaves and chives. Melissa’s notes, which I wish I had followed: if you can’t find spring onions (or miss the season, which is short and almost over), use the mildest, sweetest onions you can find, such as Vidalia, Walla Walla, or red onions. You can also use any other fish in place of the halibut, or use the onions on top of any other protein. Lovely recipe. Leeks would have been a bit coarse maybe… the springs onions must be much better! Yum!!! I can’t wait to make this! We have been on a fish kick lately so this is perfect. That balsamic glaze sounds delectable! 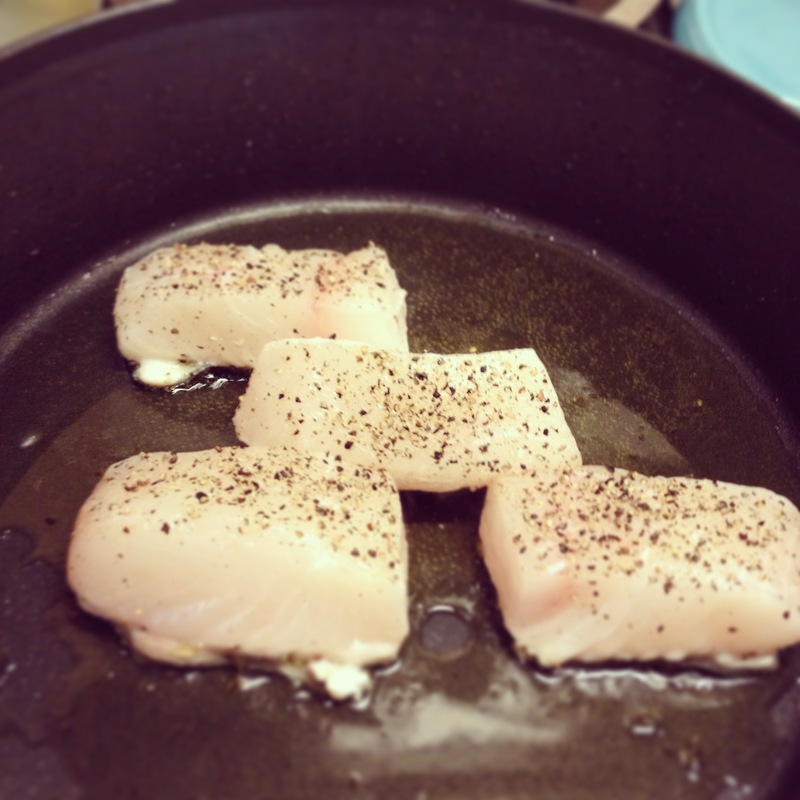 I LOVE halibut, it’s probably my favorite fish… I’ll have to try out this recipe, thanks for sharing!